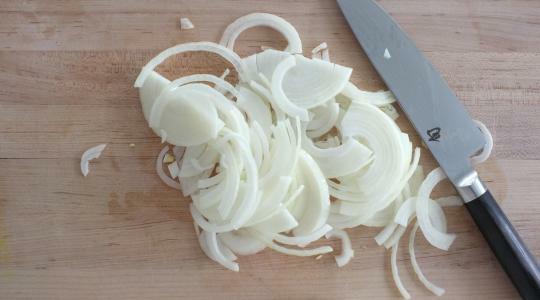 For the soup, first slice the onion. In a large pot, heat the oil over medium-high heat. Add the onion and ¼ teaspoon of the salt and cook, stirring often, until tender, 5 to 6 minutes. 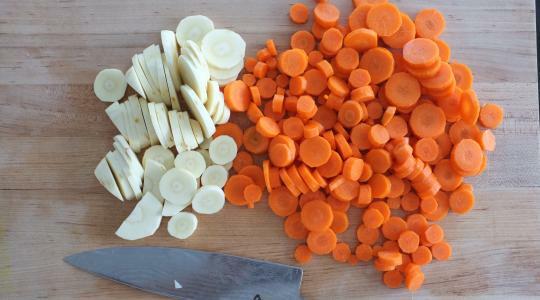 Peel and slice the carrots and parsnips into thin rounds. Grate the ginger. Add the carrots, parsnips, and ginger to the pot. Add the water, coconut milk, turmeric, and the remaining 1 teaspoon salt and stir to combine. Let come to a boil. 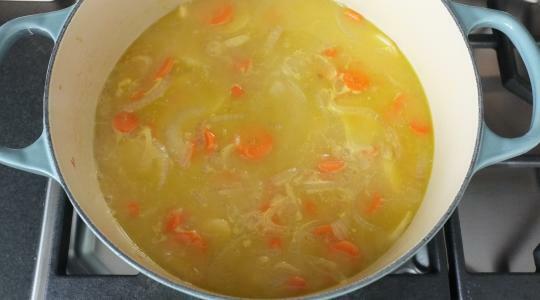 Lower the heat to medium and simmer until the vegetables are tender, 15 to 20 minutes. 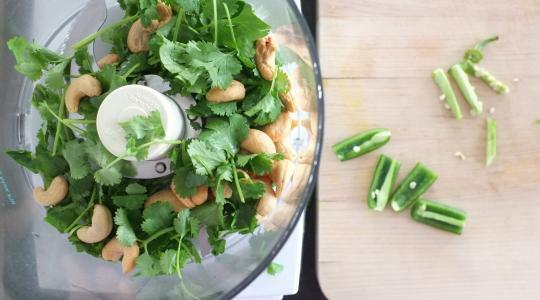 To make the pesto, in a food processor combine the cilantro, cashews, jalapeño, oil, and salt. Pulse until smooth. 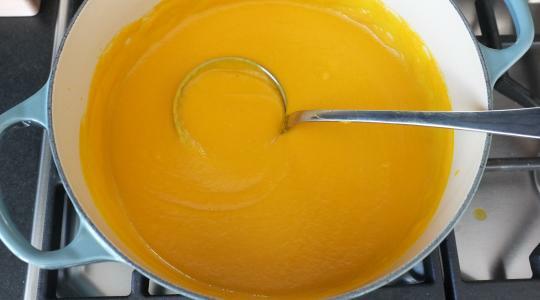 Using a handheld blender or regular blender, puree the soup until smooth and creamy. Add a little more water, if necessary, for desired consistency. 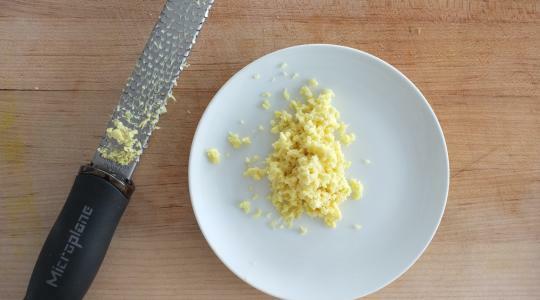 Add more salt to taste, if you like. Reheat the soup. 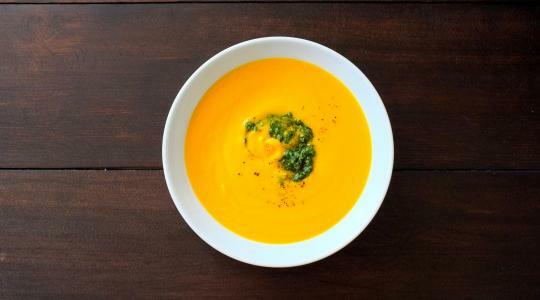 Serve with a dollop of the pesto.